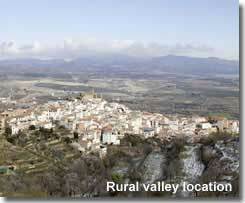 The province of Almeria, in the south eastern corner of Southern Spain, is one of the eight provinces of Andalucia. Known for its fabulous climate and year round sunshine the cultural identity of Almeria is depicted in the Moorish architecture of its whitewashed Andalucian villages and is characterised by its spectacular village and town fiestas. Today Almeria is also significant for its more recent cinematic heritage, and for its unique natural spaces. History can be dated back to prehistoric times, with several successive civilizations populating the region not excluding the influential Arabic rule of Al Andaluz and the eventual Christian conquest. 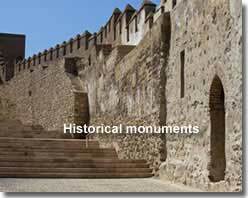 Historical remains and links to the many past cultures of this land are still evident today in the towns and villages of Almeria, contributing to a region rich in customs and traditions. 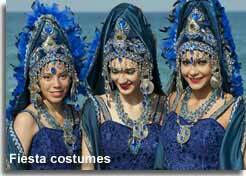 Each town and village in Almeria has its own fiesta celebration, some having more than one. The Spanish fiesta tends to hail from religious holidays, often honouring the patron of the village, or from historical and cultural origins, in remembrance of past events or ancient traditions. This proud nation, who obviously hold a great respect for their heritage, celebrate their fiestas with elaborate processions, colourful parades, extravagant costumes, carnivals, fireworks, music and dancing, food and drink, and lots of noise. 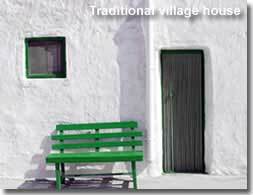 A semi arid province of mountains and valleys, including the desert of Almeria, a virtually unspoilt coastline and several natural parks, its villages and towns offer Spanish properties in locations as diverse as the landscapes, mountain village retreats, rural valley hideaways and beach side fishing villages. The towns and villages of Almeria are becoming more popular with expatriates and holiday makers in search of a more traditional and laid back style of living. Living in a Spanish village, I have to say that I find the old folk to be the essence of the community, they are most curious of foreign visitors and certainly very welcoming of them, their hospitality is heart warming, I have been given fruit from their trees, vegetables from their gardens and not a day goes by without an acknowledging smile, wave or greeting. Of an evening, during the summer months, the village residents spend most of their time outdoors, they congregate outside of their houses, seated on wooden stools, enjoying the cooler night air and generally gossiping among themselves, a newcomer is always gladly accepted into the fold and will be unashamedly questioned about their life and their family, in my experience, just a few Spanish words in an effort to communicate will make a friend for life. 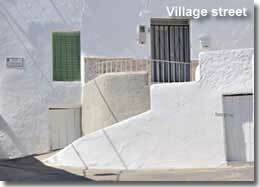 It is worth noting that English is not widely spoken by the general population, if at all, in most of the villages and towns in Almeria, of course this is Spain when all is said and done, though it is possible to find English speaking professionals, such as doctors, dentists, lawyers... and translation services. Learning the language is all part of the fun, whether on holiday or living in Almeria, in my opinion it is essential to at least have a go at a few basic words and phrases, it really does not matter if mistakes are made, the effort is truly appreciated. There is an undeniable feel good factor about being able to dine out in a Spanish restaurant and be able to muddle though ordering in the native language. 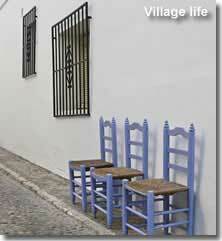 It has to be said, so many villages so little time... I have travelled extensively though the natural parks, mountains and valleys of Almeria and have explored its coastline, all of which has lead me to pass through many of its beautiful villages. My next mission however is to concentrate on the villages and towns themselves, one by one, and provide details in individual pages including historical monuments, cultural heritage, local fiestas and the walking trails in the vicinity of each one. Of equal importance, I aim to assess each village in terms of what it can offer today as a holiday destination or a place for permanent relocation and retirement, with comprehensive property listings for each area, comprising of properties for sale or rental and holiday lets, advertised by leading local estate agents and from the owners direct. This mammoth task has been started, with the links to the completed village or town page set out below, the list will be regularly updated as new destinations are added to the website. 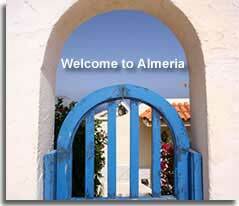 The following list, of the villages and towns of Almeria, presents links to detailed information on each destination including local fiestas and walking trails.